Section 702 of the Foreign Intelligence Surveillance Act (FISA) authorizes elements of the US Intelligence Community to obtain “foreign intelligence information” by targeting surveillance on non-U.S. persons located abroad. This authority is used to collect, use, and disseminate electronic communications content either stored by U.S internet companies or traversing the internet’s ‘backbone’ and is set to expire at the end of 2017. On November 30, 2017, GNI partnered with the George Mason University Law School’s National Security Institute to host an event at the U.S. Senate: “702 Reform and Reauthorization: Views from Across the Spectrum.” The event featured a diverse group of panelists exploring the privacy and security implications of various proposals for 702 reform and reauthorization. Panelists agreed that the law facilitates important intelligence gathering but also that it creates significant privacy and civil liberties concerns, and they differed on whether legislative reforms were necessary to protect against potential abuses. There was substantial discussion among panelists of so-called “abouts” collection – the collection of communications that reference a target but are not sent or received by a target. The National Security Agency voluntarily ended this practice earlier this year in response to concerns raised by the Foreign Intelligence Surveillance Court. Many of the proposed 702 reauthorization bills address the practice in one way or another, with several calling for its permanent prohibition. Panelists also debated the pros and cons of requiring FBI agents to obtain warrants before accessing or using 702 data in the context of criminal investigations – the so-called “back-door search” issue. This issue is also addressed in different ways in several of the proposed reauthorization bills. Finally, panelists discussed the scope of targeting authorized under 702 and concerns that have been raised by other governments about its impact on the privacy of non-U.S. persons. Some panelists suggested there could be ways to modify the definition of “foreign intelligence information” – especially, “information that is related to the conduct of foreign affairs” – in order to narrow this impact without having an undue effect on the national security value of 702. For a comparative analysis of various proposed 702 reauthorization bills, please see here. We thank the National Security Institute for co-sponsoring the event. The full speaker list is below.  Founded in 2008, the Global Network Initiative is an international multi-stakeholder group of internet and telecommunications operator and vendor companies, civil society organizations (including human rights and press freedom groups), investors and academics, who have created a collaborative approach to protect and advance freedom of expression and privacy in the ICT sector. GNI has built a framework of principles and implementation guidelines based on international human rights laws and standards, on which GNI member companies are independently assessed. Our membership collectively advocates with governments to protect and advance user freedom of expression and privacy rights. The National Security Institute at George Mason University’s Antonin Scalia Law School serves as a platform for research, teaching, scholarship, and policy development. The Institute incorporates a realistic assessment of the threats facing the United States and its allies, as well as an appreciation of the legal and practical challenges facing our intelligence, law enforcement, border security, and cybersecurity communities.